Darrel Hackler, senior director of global business development for night vision at Harris, has said the company will unveil its version of a modernized night vision binocular sought by the U.S. Army, National Defense Magazine reported Wednesday. He told the publication in an interview he expects the new Enhanced Night Vision Goggle-Binocular system to feature a thermal sensor, overlaid augmented reality technology designed to generate information for the soldier. Hackler added the device will work to provide data such a blue force tracking, sensor and navigation data. The Army plans to use an other transaction authority agreement to procure night vision goggles and begin initial deployment in the fourth quarter of fiscal 2019. 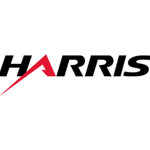 Harris will showcase its offering at the Special Operations Forces Industry Conference that will take place from May 20 to 23 in Tampa, Fla.